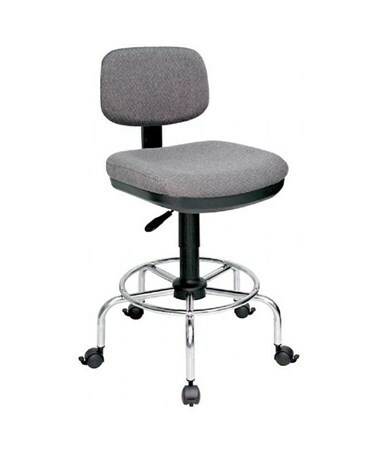 Adjustable seat height 23" to 31"
The Alvin American-Style Draftsman’s Chair is designed for both comfort and durability. It is ruggedly constructed with its sturdy and stable foundation that is made of tough chrome tubular steel. The 23-inch diameter base comes with a built-in foot ring that provides additional support and extra comfort for long hours of sitting. 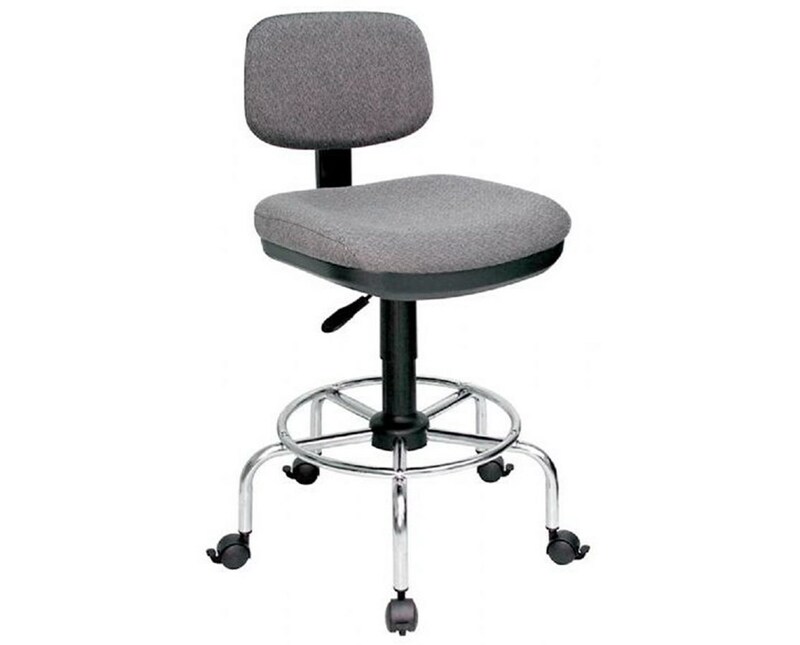 This traditional draftsman’s chair features a four-inch thick 18"W x 18"L seat cushion that is made of durable and long-lasting molded foam. Its 15"W x 10"H hinged backrest with polypropylene back shell allows height and depth adjustments for convenient sitting position. 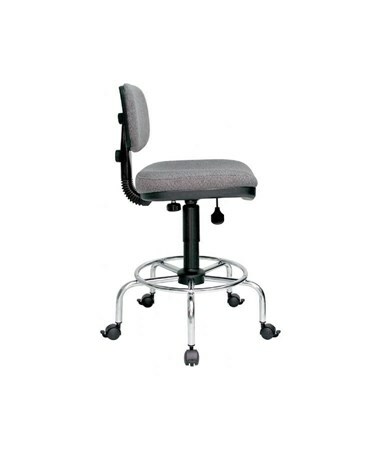 With a pneumatic height control, the seat height can be adjusted from 23 inches up to 31 inches to suit different needs and preferences. 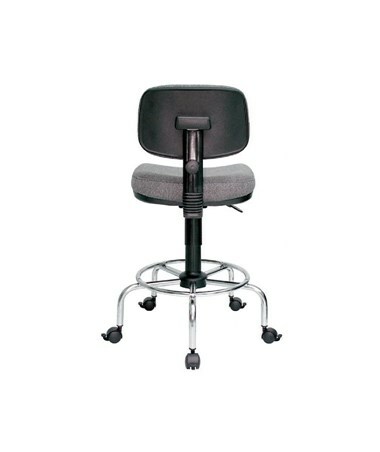 The Alvin American-Style Draftsman’s Chair is equipped with a set of locking dual-wheel casters for total mobility and a set of non-slip floor glides for stationary applications. This versatility and functionality, plus its attractive charcoal fabric upholstery, make this chair a perfect choice for any office, studio, and workshop. Adjustable Height 23" to 31"